We all know prints are making a comeback. This fact has been drummed into us season upon season but the truth is, it is actually happening. 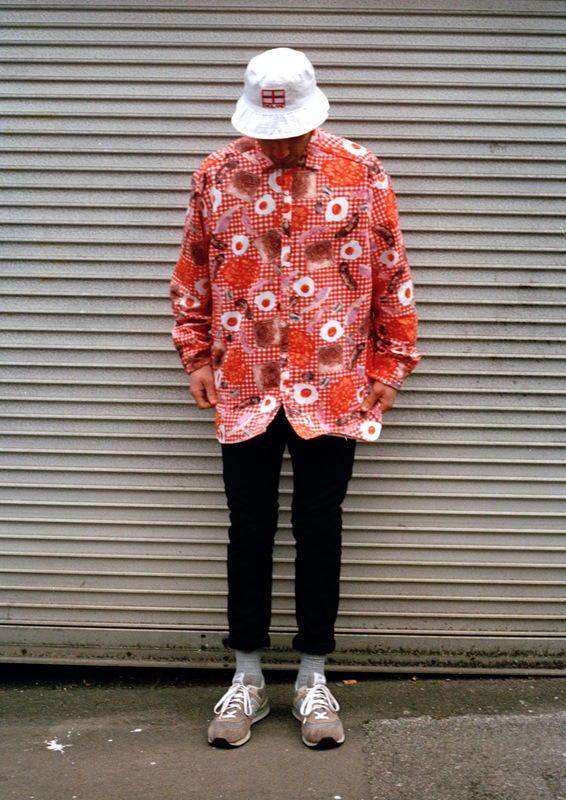 You just have to walk down a busy London street to see groups of teenage boys wearing their Dad's old 80's statement shirts or an equivalent found at an East End thrift store. One guy is making a bold leap into print design, adding a savoury twist to the trend. His name is Charlie O'Byrne a soon to be graduate from the University of West England, Bristol. Charlie is a print designer hoping to capitalise on this new trend. 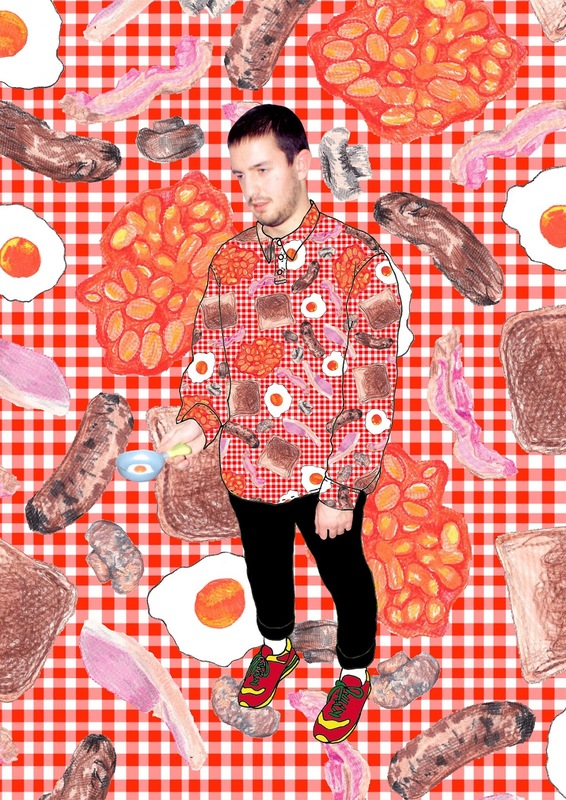 His most recent project took the idea of breakfast and picnics and with this he created a series of prints based around this. 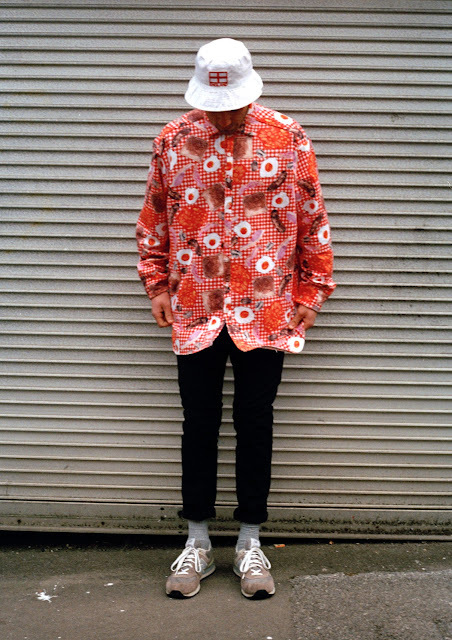 Charlie is also one of the lucky few design students showcasing his work at Graduate Fashion Week this week. 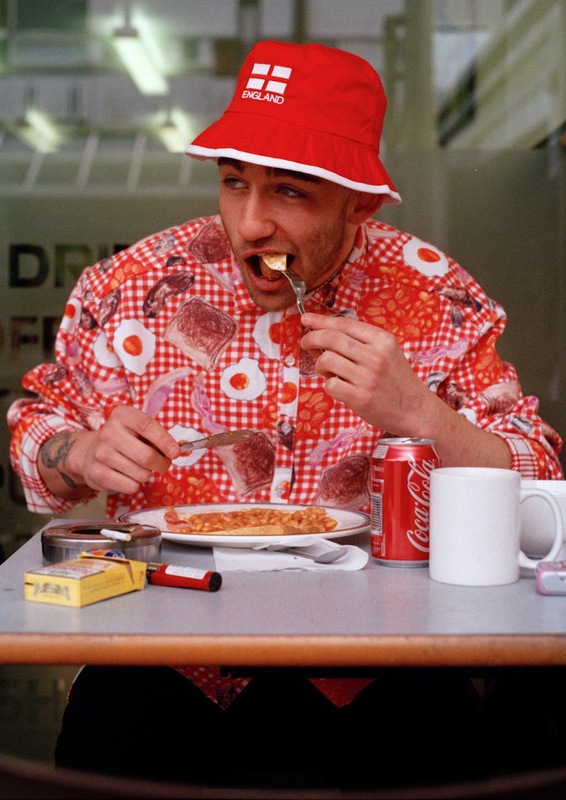 Sporting his own design, a brightly coloured shirt emblazoned with an unlikely combination of gingham and fried eggs, he talks us through his work. "I was inspired by the food in cafés and I wanted to do something weird and interesting" explained Charlie before going on to say: "My designs have had a really good response." He then proceeds to show a page from his portfolio, featuring his friend wearing the fried egg shirt. "He wears it better than I do" jokes Charlie. Charlie graduates in July 2013 from UWE and is certainly one to watch. Not only does he believe in making breakfast an all day thing, which certainly scores highly in our eyes, he utilises everyday objects and turns them into something fresh and new.